This year I experienced for the first time the cherry blossom season in Japan. I can tell you it's beautiful and if you would ask me which time of the year you should visit Japan, I would definitely say Springtime. Seeing all this beautiful cherry blossoms within a few days blooming, blowing away and even later seeing them laying on the ground made me think about all beautiful flowers you put in a vase and how lovely they look at that moment and how quickly they fade again. 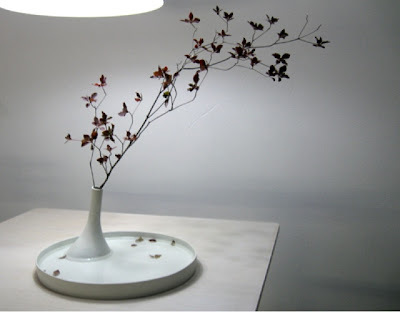 That's why when I saw this beautiful flower vase, designed by Norihiko Terayama I felt right away deeply in love with it. 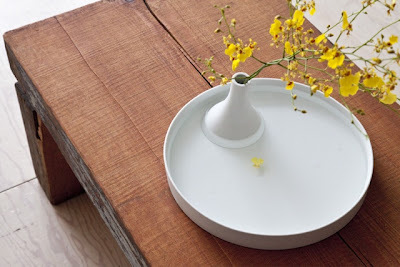 Floating water (2008) is a flower vase that is designed to equally appreciate beauty in the plant’s imminent death, as well as in its life, says the designer. Don't you agree with me and think that this concept is brilliant? Two vases in one. One for the blooming flowers and the other one for the falling petals and leaves? 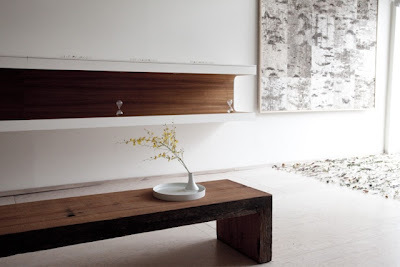 You can even put some water in the low vase and already let some flowers floating. I love it! Enjoy this beautiful Spring weekend, wherever you are!